No matter what the case, Gibbs and Abby have always had a special bond on NCIS. "Under the Radar" is the third episode of the show's 11th season. 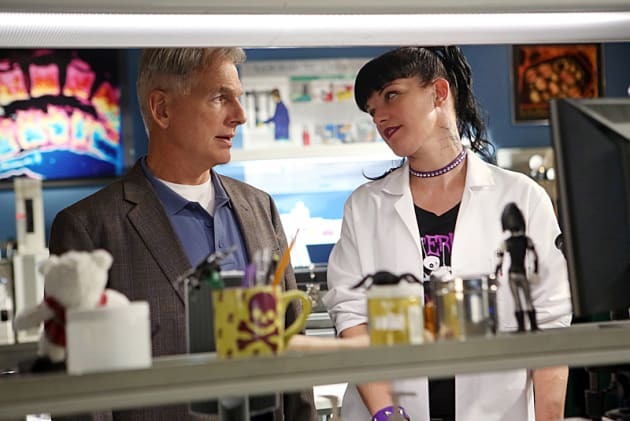 NCIS Season 11 Episode 3: "Under the Radar"
Tony: Want to take a ride, Vera? Permalink: Want to take a ride, Vera? Bite me. Vance: Hang on. Agent McGee isn't going anywhere. Vance: Agent McGee and the rest of his team's presence has just been requested at the White House. His clever strategy just saved countless lives and a multi-billion dollar weapons system. Gibbs: Yeah we'll get back to you on that, Eugene. NCIS Round Table: "Under the Radar"